"Ryoko-sho calligraphy" is very popular style because of its slim, elegant and sophisticated characters. 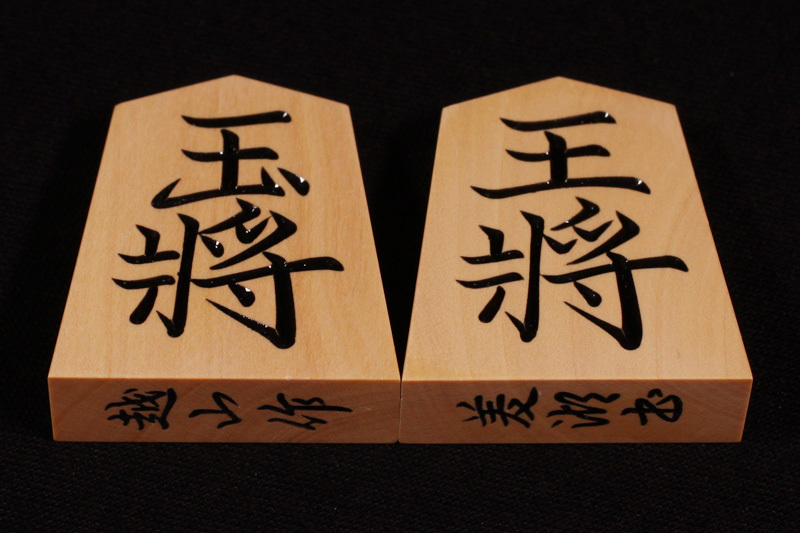 "Super high carved" is a carving style of Shogi pieces. Carving styles are classified by the complexity of characters. The order of complexity is as follows. The simplest one is Black carved, then Usually carved, Middle carved, High carved, and the most complicated one is Super high carved. Generally speaking, the more strokes a carving style has, the higher the grade is. Super-high curved characters are not simplified at all. Therefore, this style has more strokes than other styles and easy to read. 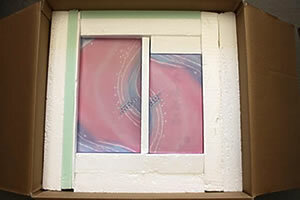 Contained in a wooden box.